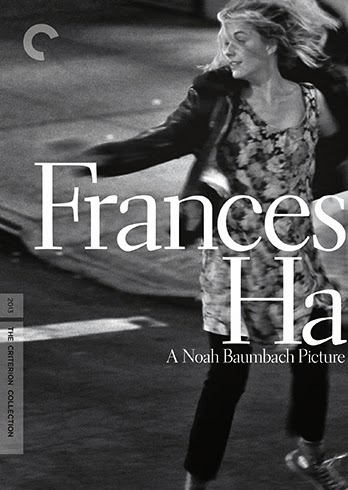 The true achievement of Noah Baumbach's Frances Ha is how effortlessly it captures the inconsistencies of youth without being overly precious or dishonest. Sure, Frances can be quirky, and she's selfish, but she's also lonely and a bit lost and, though lacking in essential self-awareness, desperately confused by the ups and downs of her own existential crisis. 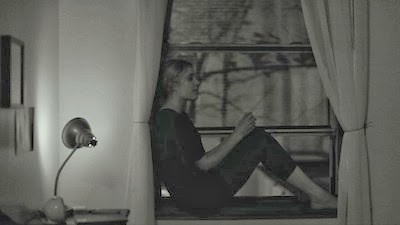 Frances Ha is a movie about a young woman getting her life together, even when she doesn't realize that's what's happening. 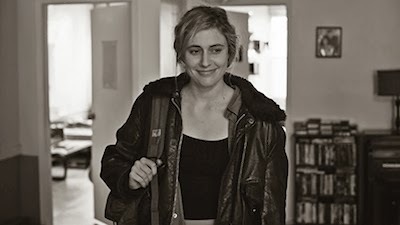 Greta Gerwig (Damsels in Distress [review]) stars as Frances, a 27-year-old dancer living in New York City. Frances is a third-stringer at her dance company, always on the sidelines, the understudy to the understudy. This, alas, is her place in life across the board. She rooms with her best friend, Sophie (Mickey Sumner), who is, for all intents and purposes, Frances' caretaker and, arguably, her lover. It's not that they are physically affectionate in a sexual manner, but Frances puts all her eggs in Sophie's basket. Sophie has a job in publishing and she's in charge of the rent. She also has an actual relationship with a guy who works in finance (Patrick Heusinger). While Frances assumes this camaraderie will go on forever--the play fighting, sharing the same bed, Sophie telling her bedtime stories--her desire to stay stuck in one place is undermined by the fact that the world keeps turning without her. Sophie moves on, and Frances is left to fend for herself. It's refreshing to watch a movie about a twentysomething whose whole reason for being doesn't hinge on romance. Frances Ha, which Baumbach co-wrote with Gerwig, appears to be consciously working against the standard narrative dynamic of the post-collegiate experience. It's not uncommon for graduates to enter the real world and quickly fall into the drudgery of everyday existence. Frances continues to pursue her dreams, but not with any real hunger. Likewise, her relationships outside of Sophie are dominated by her strong connection to the other girl. Even when invited along to a dinner party thrown by wealthy professionals (including a cameo by the rock duo Dean & Britta, who also contributed to the soundtrack), she can only talk about Sophie. When she moves in with two young trust-funders, she remodels one of them, a funny writer who otherwise might have affection for her (Michael Zegan), into a new version of her "lost love." Someone has to tuck Frances in at night. was shot on the fly out in public, using digital cameras, allowing for New York to be an unwitting participant in Frances' story. While I wouldn't call the movie "realistic," there is an immediacy to how it transpires that at least makes it feel real. For the last several years, Greta Gerwig has made a name for herself in a variety of independent and mainstream pictures. She emerged from the "mumblecore" scene in the mid-'00s, including collaborating on two features with Joe Swanberg (Hannah Takes the Stairs and Nights and Weekends). Taking charge and forging her own stories suits the actress, who has long been a critical darling but has yet to have that breakout role to really make her a star. Frances may just be it, as her natural charisma allows Gerwig to be as scattered and even self-destructive as the story requires without having the audience turn against Frances or get fed up with her. The actress also seems to have pulled something out of Noah Baumbach. He has never made a film this light on its feet before. Gerwig is already in the writer/director's next as-of-yet untitled project, and one can only hope they continue to collaborate. I wouldn't mind seeing an ongoing pairing between them akin to Woody Allen's revitalizing working relationship with Scarlett Johansson. Despite a purposely jarring third-act break, Baumbach and Gerwig establish a nice comfort zone for Frances (and the audience) that allows for the ending we'd been rooting for even as we were baffled by Frances' reluctance to pursue it. It's a bit risky in execution. Frances doesn't change gradually, and no explanation is layered over her wake-up call. The alarm goes off, and the next thing we know, she's out working her brand new day. We end up accepting the sudden shift because, in a sense, the director is jarring the viewer out of his or her comfort alongside his protagonist. We have become so comfortable with Frances' screw-ups, we are somewhat culpable in her failure to change. A little disappointment and some role reversals are required for Frances to move on, but ultimately, we all feel better when she does. If her truncated last name is a punctuating laugh, it comes with the contentment of laughing with her, rather than at her, thus making all the difference.